So, about that December 13, 2019 release for Dragon Marked for Death? It’s not happening anymore. Revealed during their panel at Anime NYC, Inti Creates has revealed that Dragon Marked for Death will now release next year on January 31. The wait might be worth it though, since there will be a physical release and a new anime style PV for the game has been revealed. Inti Creates (New York, NY) November 16, 2018 – At their Anime NYC panel today, Dragon Marked for Death producers Takuya Aizu of Inti Creates and Yoshifumi Hashimoto of Hakama took the stage to reveal a bunch of new information about the game. 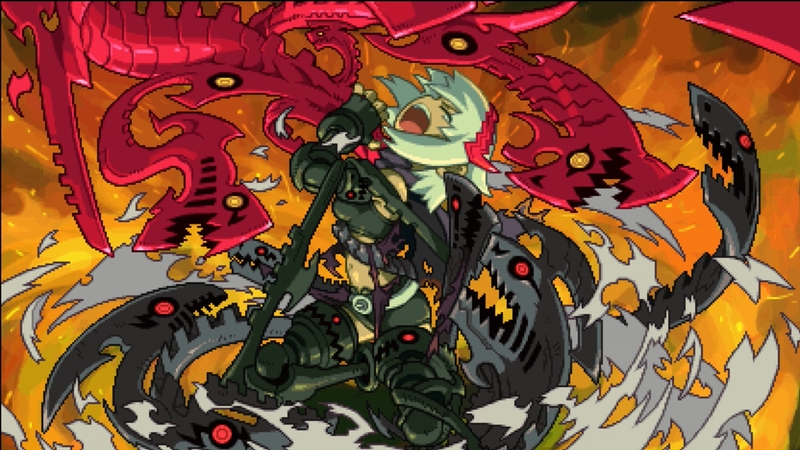 Dragon Marked for Death is dark fantasy action RPG that can be enjoyed in single player, or with up to four players in local or online co-op multiplayer. Considering it was at Anime NYC, Inti Creates revealed a new anime-style PV for the game, bringing the characters to life in a whole new way! Dragon Marked for Death will be sold as two separate packs for $14.99 each. The Frontline Fighters pack will contain the Empress and Warrior characters, which are more friendly to beginners, and contain DPS and tank type characters that are archetypes to any action game. The Advanced Attackers pack will contain the Shinobi and Witch characters, which are more technical characters with higher skill ceilings that are geared towards more advanced players. Players can purchase whichever pack they like first, and then can purchase the other pack as DLC should they choose to do so. For example, if you buy the Dragon Marked for Death pack with the Empress and Warrior, you can purchase the Shinobi and Witch pack as DLC, and vice versa. Inti Creates will be working with publishers Nighthawk Interactive to produce a retail version of Dragon Marked for Death that will have all four characters available. They plan to have it out as close to the digital release date as possible. In order to create a smaller gap between the release of the physical version and the digital version, the game’s digital release was pushed back a little bit to January 31st from its original December 13th release date. Any plans to pick up the physical release? Let us know!